Is there anywhere better for relaxation and a piña colada? No, no! There surely is not. Summertime brings all kinds of trips - road trips, beach trips, weekend getaways - you name it, summertime is the time for it! As we speak I'm actually over in the beautiful South Carolina town of Charleston. When I arrived, I felt inspired to share a little beach trip guide to you. 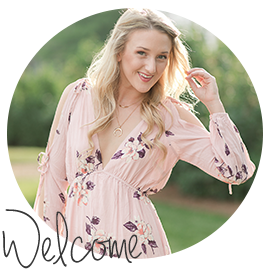 I've rounded up everything from espadrilles to sunscreen to a little romper. Anything and everything you'll need for a beach trip you'll find here! Hip hip, hooray! Time to get down to some shopping dolls :). If you haven't already, make sure to head over to Snapchat and add me (@kitty_621) to follow along with my Charleston adventures. Love all of these! Mara Hoffman has the best suits too!! Have a blast in Charleston! I'm excited to see your pics! Thanks Bryn!! Post coming soon. Chic + Shimmer Turns Two!